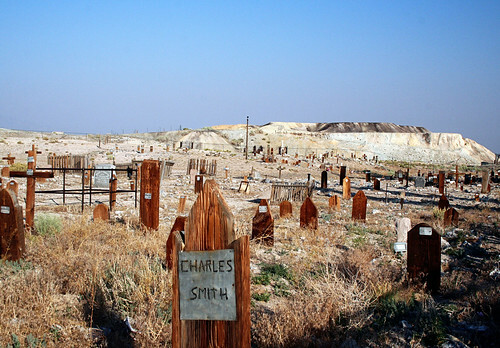 On my HTV news segment last Friday for Trick or Treat Radio I spoke briefly about the Clown Hotel in Topopah Nevada. I liked what I was finding and felt it deserved a little more of a detailed look here on HorrorMade. 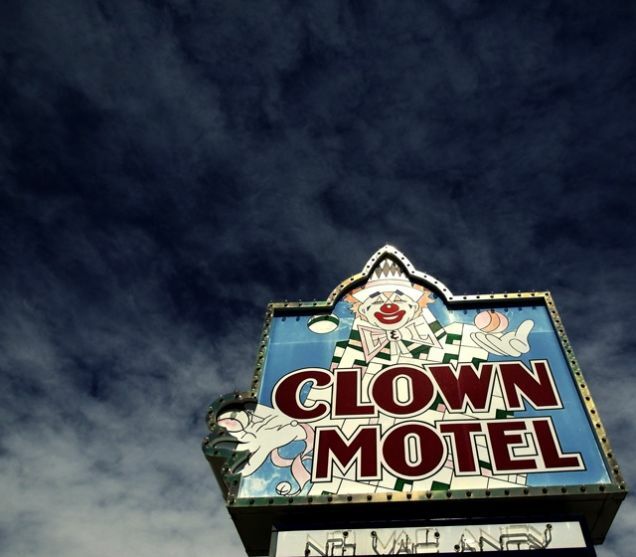 The Clown motel can be found in the tiny town of Tonopah Nevada on a lonely stretch of I-95 desert highway. The shelves of it’s lobby are adorned with an army of leering clown dolls, figurines and pictures. 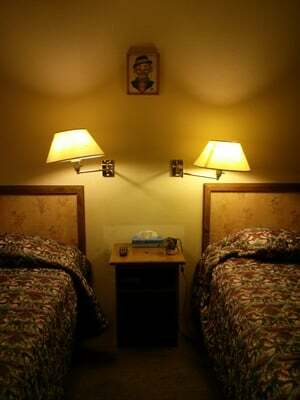 The rooms are all apparently clown themed as well, and you sleep beneath the watchful eyes of famous clowns like Pagliacci and Bozo. I have tried my darnedest to find more pictures of what the inside of the rooms look like, but the best ones are all locked up on Tripadvisor . There’s a particularly hilarious one of a duct-tape chair pretending to be leather. I also grabbed a couple of my favorite reviews to share them with you. “I have to admit the room is very clean BUT there is plywood covering a hole in the bathroom, some type of duct tape to keep the furniture from peeling, the rug needs to be stretched, one wall needs a coat of paint, etc. The only thing keeps this place from getting a terrible rating is the theme of this place- the clowns. And you are next to a 100 year old cemetery. I recommend watching the movie: Killer Klowns from Outer Space to get full effect of this place. The motel’s next door neighbors are a bunch a stiffs who died from a plague back in the gold rushin’ days. The graveyard gets good reviews every time. I would love to spend a night here. Also, a correction from the news segment, there is another motel in the same town. But the nearest other town is 70miles away. I combined the two facts and accidentally omitted the existing, but dull second motel.